Having the proper attire for your workplace is very important. Your professionalism is, in part, measured by your dressing and the accessories you carry. The handbag you carry for the office, then, requires even more thought. This accessory is not just something that should go with every outfit you wear but should also be practical and accommodating. 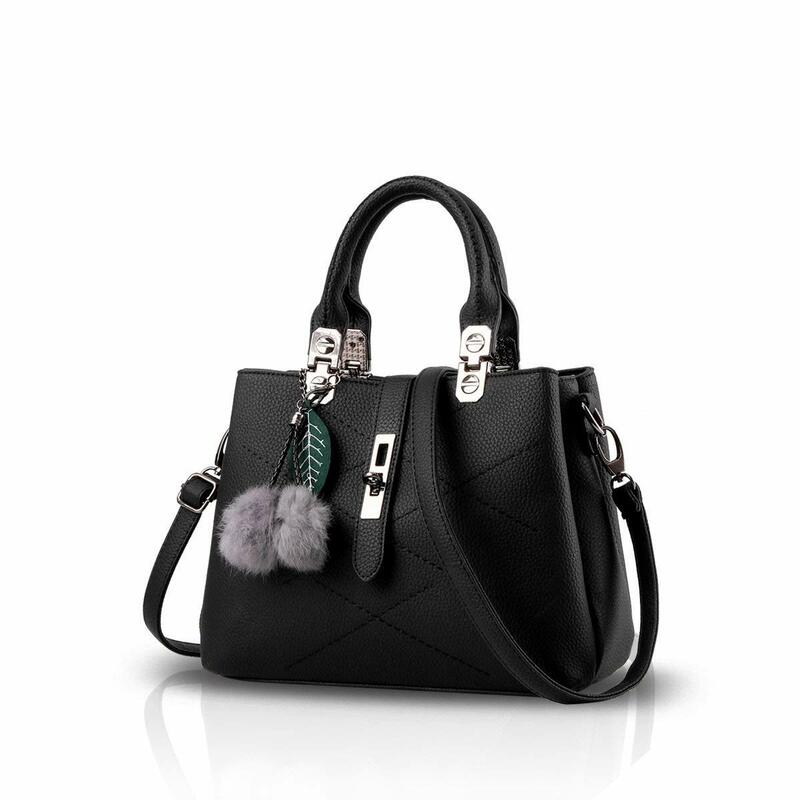 This office handbag is immensely stylish, with a classy tassel giving it a unique look. With this bag on your shoulder, you can set yourself apart from your co-workers and still have a decent amount of space for all your necessities. The bag itself is made from high-quality faux leather with detailed stitching and custom hardware. It also has numerous pockets that can hold files, notebooks, a wallet, your phone, and a tablet to boot. For anything you may need immediately, there are two zippered pockets on the outside. With this strength and convenience, this bag would make the perfect office companion throughout the week. These handbags have proven to be excellent for office use, mainly due to its durable and long-lasting PU leather material. They would also fit right in if you wish to use them on any other occasion, such as parties, shopping, or even the gym. With the three roomy compartments inside, you have a lot of choice for putting your items in handy spaces. One compartment has a zippered closure, while the others snap shut with a magnetic closure. There are also several small pockets inside the bag. This would enable you to organize your work and personal necessities in the most convenient manner possible. This particular handbag is available in a variety of colors. These include several neutral shades that would be sure to go well with your work outfits. With Diana Korr on your shoulder, you’re sure to sport a very trendy look as well as benefit from the trusty build of this bag. The bag itself is quite heavy even when empty, so you may not want to have this when you’re walking around all day. Its heaviness is a sign of high quality, but it’s more comfortable to use when you’re going to be limited to a relatively small workplace all day. This is a shoulder bag that’s constructed from leather material. It’s quite large, which should be handy if you usually have a lot of things to carry every day. The material is very sturdy, but the manufacturer’s warranty also lasts for a year in case there’s an issue. The brand behind this bag is one that’s stayed true to its heritage. You may thus expect innovative designs, quality craftsmanship, and natural quality leather when you select a bag from them. The brass fittings are solid, providing an elegant and classy experience. The crafting process at Hidesign is a slow on, using vegetable tanning, hand rubbing, individual waxing, and hand cutting to ensure your office handbag usage is the best one possible. This satchel bag is sure to provide a handy, compact home for everything you need while at the office. It may not be very large, but it’s great for holding some snacks, electronic devices like smartphones and tablets, and a couple of makeup essentials. You’d be able to get through the day without lugging around a huge duffel bag when you have this useful satchel on hand. This bag is equipped with a zippered closure, 5 pockets, and 2 compartments. It’s not suitable for exposure to extreme heat, so an office environment is best for its use. With Lavie bags, you’re sure to get exacting detail in the crafting as well as a high level of quality due to the multiple checks on each bag before it leaves the manufacturer. Lavie handbags are known for their sturdiness and versatility. They also come in several striking colors, enabling you to pick one according to your preference. The amazing quality would be sure to give you several years of hard office use, so it’s absolutely worth the price. This bag is made from faux leather and is very spacious. It boasts a buckle closure that has an adjustable strap in case you want more space than usual. There are only a single compartment and 2 pockets, which is good if you’re storing large items like gym clothes for an after-work session. Many users have been witness to its spacious interior, which more than makes up for the lack of compartments and pockets. It’s very easy to keep this bag clean. Any coffee spills at the office can be easily cleaned with a damp cloth from the outside. This is highly convenient and cost-effective since no special cleaning tools or processes are required. With the 1-year manufacturer’s warranty, you can rest assured that this bag is going to last you for a long time. It combines quality PU material with detailed finishing in order to provide an exquisitely detailed result. The styling is paired with warm colors in order to be an ongoing trend for every season. Even if you don’t care about fashion statements, this bag is excellent for carrying to work and utilizing for casual events on the weekends. There isn’t much height to this bag, but it’s still more spacious than one may think. For the price it comes at, many users have reported a worthwhile and satisfactory experience. This handbag is more of a satchel with a crossbody strap. It’s perfect for those who want the leather experience but are following a vegan lifestyle. Such a choice is also great if you’re looking for a cruelty-free product. 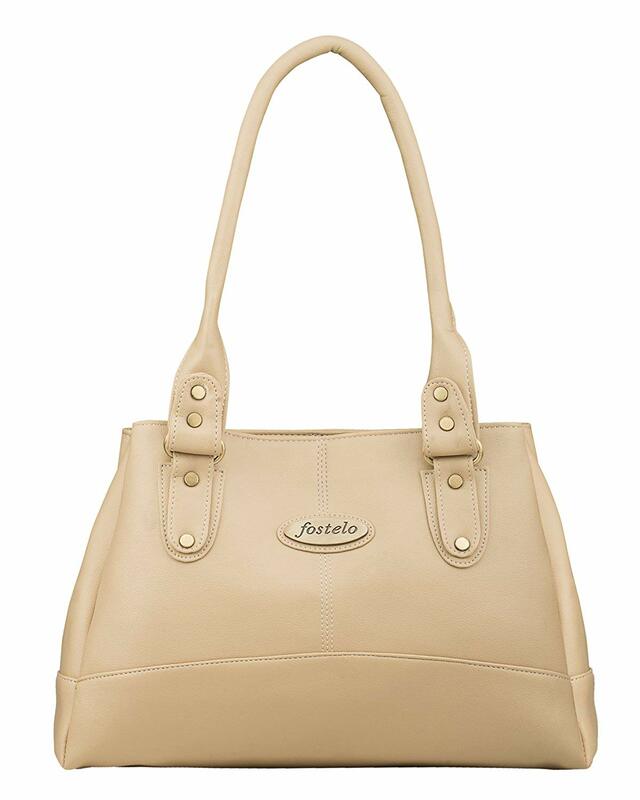 You can choose from several shades according to your requirements and/or preferences with such a bag. The choices include blue, brown, coffee, pink, and red. The PU vegan leather is matched by the shoulder strap and top handle, both of which are faux leather. The gold-tone hardware finishes off the whole look, providing a great tote for the office. You may also adjust or even detach the strap as you see fit. This bag is an especially popular vintage style that’s suitable for use by all genders. The fine stitching with the buffalo leather makes sure to give you an immensely high-quality product for everyday office use. Since the leather is genuine, even the usual wear would add to the classic vintage look. The handbag’s dimensions are not too large, but they’re perfect if you don’t want to carry a laptop to work every day. It’s very roomy inside, with several pockets and a spacious compartment for larger items like tablets. You can also carry this bag around without worrying about breakage since the shoulder strap is made extra strong with nylon lining. All the options reviewed above are excellent choices, but the right decision would depend on your everyday needs. You have to take into account your level of activity, number of essentials, and other factors to help you prioritize your search. At the end of the day, however, the LEABAGS Dover Shoulder Bag seems to be the best option for now. It’s great for carrying everything you need yet compact enough for travelling to work. This is a bag that can survive daily wear and tear but still look good for the office. If you don’t have to carry large items every single day, this should be among the top shortlisted choices.